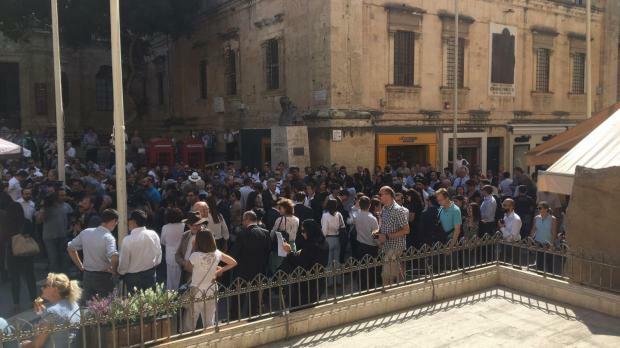 People gathered outside the law courts in Valletta this afternoon for a protest demanding justice following the murder of Daphne Caruana Galizia. 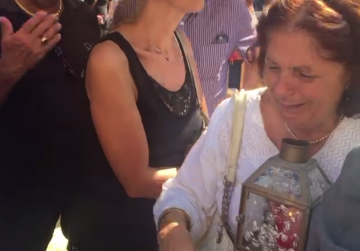 A weeping woman carries a candle at the protest. 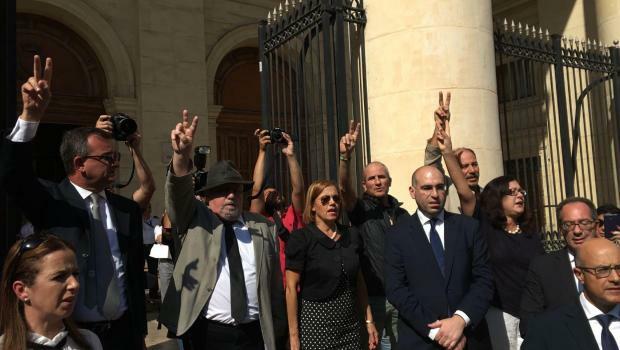 Among those present are Nationalist MPs including Opposition Leader Adrian Delia, former Opposition leader Simon Busuttil, prominent lawyers and former prime minister Lawrence Gonzi. 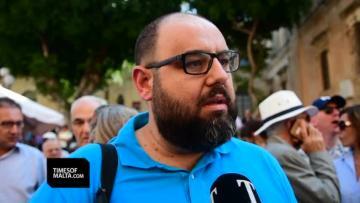 Also there were blogger Manuel Delia and former AD chairman Michael Briguglio, members of the Civil Society Network which organised the protest. Veteran lawyer and blogger Andrew Borg Cardona, who addressed the crowd, said the pillars of government had failed. The State had to defend its people and the courts were the last hope. The people had to take on the fight that Daphne stood for. The people, he stressed, had to stand up and be counted. The crowd then sang the national anthem, with many making V signs.